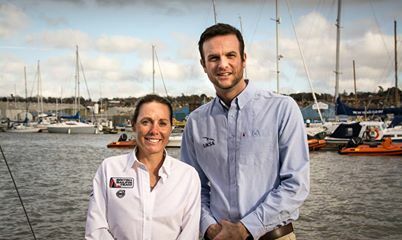 Paralympic gold medal winning sailor Helena Lucas (pictured here with our very own Director of Operations Ben Willows) has teamed up with us to become one of our ambassadors. Helena made history claiming gold at London 2012, becoming the first ever female winner of the male dominated Paralympic class and Britain’s first ever Paralympic sailing gold medallist. Helena is now setting her sights on competing in Rio in 2016. We wish her all the very best!